We don't just tell stories. We build legends. Legends are made by creating memorable stories worth repeating; narratives so intriguing that they are shared time and again. 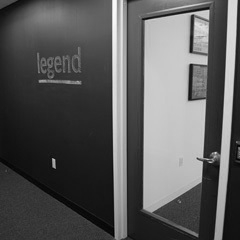 A full-service public relations agency built for the new media landscape, Legend develops brand stories that elicit a lasting emotional connection, and programming that sparks conversation, incites action and drives desired results. Every Legendary campaign begins with discovering a strategic insight. We start with a deep dive into the target consumer’s mindset. What do they care about? What motivates them? What values and attributes do they most closely identify themselves with? Even more importantly, where do your brand values intersect with your target consumer’s values? It’s in that sweet spot that the communications strategy is born and legends are made. 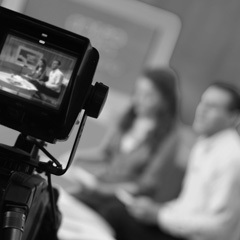 The media landscape has changed more in the past five years than in the past five decades. Has your public relations kept pace? While traditional media relations and the resulting ink and airtime are at the foundation of our experience, our tool box extends beyond editorial and into the digital, social and mobile world your consumer lives in today. We take an all-media approach and aim to deliver your legendary story where she is looking for it, when she wants it, and from whom she wants to hear it. In today’s resource strapped world, we constantly hear from our clients that there is a lack of time or internal resources to move projects forward on a daily basis. Legend becomes a seamless extension of your team bringing forth senior-level communications experts supported by a dedicated tacticians . Additional professional support from Legend's Hispanic, entertainment, media relations and social media practices are added as necessary to create a fully-integrated experience that in many cases goes beyond what a traditional internal PR team can offer. At Legend, our employees are our most valuable assets. We are always seeking the best talent to join our team. Legend PR offers competitive benefits to full-time employees, including medical insurance, dental insurance, vision insurance, life insurance, short and long-term disability insurance, commuter transit benefits (i.e. TransitCheks), a 401K retirement plan with company match, and paid time off (e.g. holidays, vacation, personal days, and summer Fridays). Employees also enjoy several “perks” such as Cupcakes & Cocktails, a continuing education stipend, and regular staff outings. Legend PR is seeking a savvy, senior level social & digital media professional. Minimum: five years of social/digital media experience required; six to seven years of agency experience preferred. The right candidate will have experience managing consumer brand social networks and communities, as well as crafting larger strategic direction for brand campaigns across the digital ecosystem and agnostic of channel. Candidates must have strong project and client management experience, with the ability to compose, craft and sell in plans to current and potential clients. This senior level candidate must have an integrated approach and be able to create innovative social media programs that not only align with traditional PR campaigns, but also with a client’s broader 360 marketing strategy, often working with a client’s partner agencies to deliver exceptional programming. Candidates should have a passion for leading a team, giving client counsel, and pitching new business, while simultaneously driving day to day social media projects across the entire Earned, Owned, Paid (& Shared) spectrum. To craft compelling and purposeful programming, candidates must have experience leveraging social media research and insights to guide strategic recommendations and set KPI metrics, and a clear knowledge of monitoring tools to measure and analyze the success of a digital program, as well as competency managing program budgets. Excellent communication (written and verbal) and leadership skills are a must for effectively guiding the internal team and gaining/maintaining client trust. To apply, please email resume and cover letter to jobs@legendpr.com. Please write “Senior Social & Digital Media Strategist” in the subject line of the email. Legend PR is looking for an Account Executive to join its growing team. Candidates must have 2-3 years public relations experience, preferably with an agency and/or consumer products company. Strong media & influencer relations, attention to detail and writing skills are a must. Job duties include program execution, media/influencer relations and event management. To apply, e-mail resume and cover letter to jobs@legendpr.com. Please write “AE Legend PR” in the subject line of the e-mail. Legend PR offers fantastic opportunities for recent college grads who want to learn about the public relations industry in a highly creative professional atmosphere. Our Account Coordinators work on important public relations projects for both household brand names as well as entrepreneurial, up and coming brands, with a focus on food & beverage industry. The ability to work in a fast-paced environment and desire to learn are prerequisites for this job. Public Relations Students Society of America (PRSSA) involvement or public relations internships a real plus. To apply, please email resume and cover letter to jobs@legendpr.com and include “Account Coordinator Resume” in the subject line of the email. 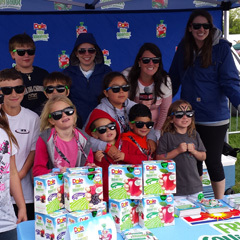 Introduce busy moms and kids to Dole Fruit Squish’ems portable, squeezable fruit pouches. Through a partnership with the American Youth Soccer Organization, Legend reached the Dole Squish’ems target on a grassroots level and engaged two-time FIFA Women’s World Cup winner and soccer mom Brandi Chastain to serve as the program’s spokesperson. We worked with Brandi to share her “Game Day Great” tips and recommend Dole Fruit Squish’ems as the perfect sideline snack with media. We also engaged moms on social media by asking them to share their “Game Day Great” tips for the chance to win a season’s supply of Dole Fruit Squish ‘ems and $5,000 for their soccer team. More than 1,000 placements and 56.2 MM impressions highlighting both the Dole Fruit Squish’ems product and Brandi’s Game Day Great tips throughout the spring and summer soccer seasons. Top placements included The Daily Buzz, Hallmark’s Home & Family, Good Day, NBC New York, ABC Las Vegas and others. Introduce Caribou Coffee’s customized coffee beverages for the 2016 season, particularly in the brand’s home state of Minnesota. In preparation for the holidays, Legend developed a multi-channel approach to Caribou’s introduction of customized coffee beverages for the 2016 Holiday season. Using a blend of geo-targeted and brand-right influencers, a local Minnesota radio partner, and an engaging consumer event at Mall of America, Legend put new and existing Caribou fans in the holiday spirit. Legend turned a two-day consumer engagement event at the Mall of America into a VIP experience complete with a “coffee cam” for local brand-right influencers to collect valuable content on-site. 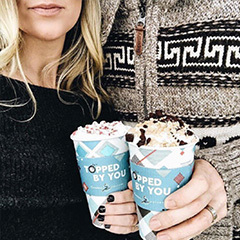 Influencers captured and shared fun, engaging, and personalized content of their custom coffee creations with flavored whips and toppings to “top bou” via their social channels throughout the holiday season. The efforts garnered an engagement rate of 4.13%, 4.4 mm impressions, and developed a new army of loyal coffee drinkers for their hometown brand. 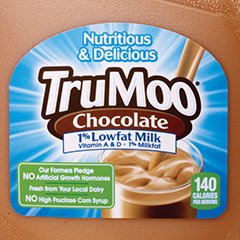 Parent company Dean Foods tasked Legend with launching TruMoo Chocolate Milk, the largest national fresh chocolate milk brand, during a time when chocolate milk was being removed from school cafeterias and maligned for its high sugar content. To introduce TruMoo to media and consumers nationwide, and to keep the brand top-of-mind, Legend implemented a strategic mix of traditional editorial and integrated media tactics to highlight TruMoo’s points of differentiation: specifically, that it contains less sugar per serving than the leading chocolate milk brand. To broadcast TruMoo’s messaging and support the product portfolio, which included seasonal limited time offers, the team developed materials highlighting the nutritive benefits of chocolate milk and engaged in always-on, robust proactive media relations. 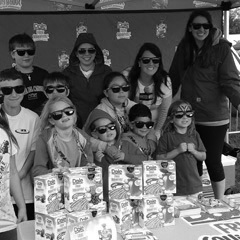 Blogger, editorial, and TV influencers also helped expand TruMoo usage occasions and drive in-store purchase. Legend expanded TruMoo’s social footprint and improved the reach of brand content by increasing paid support, adjusting targeting measures across all social channels, and leveraging user-generated content. An Olympic sponsorship in 2016 (via MilkPep) allowed Legend to align TruMoo with U.S. athletes and leverage one of sport’s best kept secrets: chocolate milk is an ideal post-workout recovery beverage. To date, Legend has generated more than 400 million earned media impressions for TruMoo and has secured more than 18 million Facebook and Instagram impressions by producing content and creative that resonates with the brand’s target and supporting it with a paid strategy. 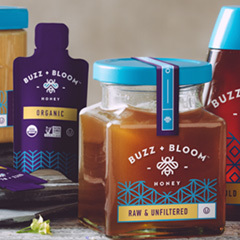 Buzz + Bloom tasked Legend with supporting the launch of this new brand of premium honey including building the brand identity from the ground up and managing all owned communication channels. Legend quickly went to work establishing a message hierarchy, media strategy, social media persona, and web presence for Buzz + Bloom just in time to capitalize on National Honey Month. Legend established a differentiated platform for the brand, produced all creative assets, leveraged strong media contacts, and brokered strategic influencer partners. A partnership with celebrity chef Jeff McInnis from Root & Bone, resulted in a well-attended editor event at a hot NYC restaurant, recipe content, and visual assets for the brand’s social channels, and high profile national attention. 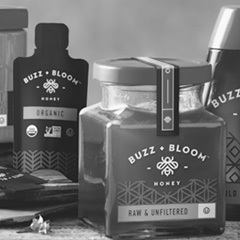 Buzz + Bloom is making its way onto the crowded honey scene and gaining distribution thanks in part to high profile attention from USA Today, Mashable and Self.com. As a leading brand in the growing sour candy segment and the fastest growing brand in the Ferrara Candy Company’s (FCC) portfolio, Trolli’s growth continued to outpace that of the overall gummy category after launching its Weirdly Awesome campaign in 2013, which was inspired by the weird shapes, funky colors, and playfulness of the candies in celebration of self-expression, unique style and fun. 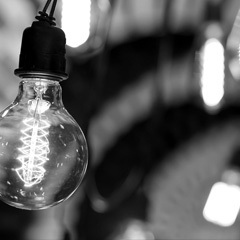 Three years out, in 2016, the brand sought to reinvigorate their Weirdly Awesome campaign in order to continue to accelerate sales and increase consumer engagement. 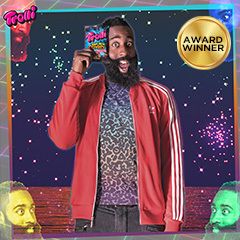 On the cusp of reinvigorating the Weirdly Awesome campaign for 2016, the brand received some weirdly awesome news…star basketball player James Harden was a huge fan of Trolli and Sour Brite Crawlers – and not only was he a fan, turns out he IS Weirdly Awesome himself. From his iconic beard and crazy faces, to his signature dance moves…Harden became the perfectly Beardly Awesome ambassador. Legend carefully crafted a media relations strategy and outreach efforts to support the campaign, leveraging Harden to inject a little of the unordinary into Trolli consumer’s lives. With an arsenal of assets featuring Harden, the Legend team turned the strategy into earned media magic for FCC’s Trolli brand, resulting in unprecedented media coverage, increased sales, and corporate visibility. The overall campaign resulted in 440MM impressions and 190 placements in food, lifestyle, entertainment and sports media. Help Dean Foods introduce their first national milk brand – DairyPure -- by highlighting its high-quality standards and local dairy equity. 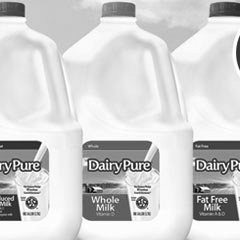 Based on research showing that consumers are concerned with the quality and source of their milk, Legend developed brand messaging that positioned DairyPure as a national milk brand you can trust because it provides the purest, healthiest milk possible delivered fresh from your local dairy to your neighborhood store. To bring our media relations strategy to life we secured recommendations and endorsements from leading media, mom & dad bloggers, registered dieticians, nutritionists and other key influencers, while highlighting key milk usage occasions through consumer survey findings. To drive social presence, we launched DairyPure’s Facebook and Pinterest pages to continue the conversation about milk by promoting product benefits and recipes, as well as fun pop culture events involving milk and milk occasions. More than one thousand placements and 45 MM impressions promoting new DairyPure milk and usage occasions. Top placements included Fox & Friends, Woman's Day Online, The Shelby Report, Better Connecticut, Great Day Houston and more.